Acquired Book By: I was offered to receive T.S. Krupa’s sophomore release novel “On the Edge” in exchange for an honest review. I participated in the Cover Reveal for “On the Edge” last year [May 2015] and my review was meant to follow shortly thereafter on the blog tour. Unfortunately, for me I was struck down by a nasty cold virus and I simply never could re-attach myself into the story until now. I decided to anchour my review for this novel to Ms Krupa’s third release “The Ten Year Reunion“. I received a complimentary ARC copy of the novel “On the Edge” direct from the author T.S. Krupa. I did not receive compensation for my opinions or thoughts shared herein. When it comes to military families and extreme sports, I love seeing how a story can interconnect the two or focus on one of them at a time. I volunteered with Soldiers Angels in 2011 sending care packages, letters and cards to our deployed servicemen and women – learning first-hand the difficulties between those who are serving our country far away from their families and how everyone left behind on the home front is trying to make the best of a hard situation. There were startling revelations about military life – from both sides – and I am thankful I had the time I did to give a bit of postal joy to those who were never expecting to receive anything at all. I have a soft spot for military dramas – the longest running tv serial for Military Drama is NCIS, as it’s the actual spin-off of my beloved (i.e. teenage favourite series) JAG! Anyone whose following me on Twitter will have seen my re-tweets for the cast as Tony took his curtain call (aka Michael Weatherly) as well as my joy in seeing how his story ended. It was such a bittersweet and uplifting conclusion to a character’s journey, there was not one dry eye watching it unfold! I, of course, watch the other spins as well: NCIS: LA and NCIS: NOLA with equal admiration. Concurrent to this, one of my favourite Hallmark Channel Holiday movies is “The Christmas Card” where an Army serviceman takes leave and discovers a new kind of life he never imagined he could achieve for himself. Threading through the Butternut Lake series by Mary McNear is a military connection but also, in other stories I am picking up as well. One of the most beloved readings of Historical Fiction are the war dramas which tug at my heart and bring me to such a level of emotional conviction it’s quite hard to leave the characters once the story concludes! Hence why I am thankful the Bess Crawford mysteries are on-going rather than a mere one-off! Similarly, why I am happily entrenched inside the Charton Minster series by Margaret James – where she not only deals with the war era but after the initial three stories, the sequences shift forward revealling even more of the breadth of what she knitted into the series! And, when it comes to extreme sports, I’m a bonefide fan of the “X-Games” inasmuch as the Winter Olympics were snowboarders & skiers defy gravity making my heart lurch out of my chest! There is something about the rush of adrenaline in combination with the skill set it takes to carve powder and accomplish a trick up in the air where heaven and earth hang in the balance awaiting your return to the ground. Finding all these lovely elements were being explored through an emotional Contemporary Rom drama as a sophomore release by a beloved author of mine felt like a good fit as a next read! My only regret is the time difference between receiving this novel and when I was actually able to attach my heart to reading it. Sometimes the tides of life can take us away from the stories we are seeking to read, but blessedly, a new time can emerge to renew our interest – granting us the reprieve we needed all along to find out what was awaiting us in the chapters of the novel’s heart! *Most recently I mentioned this absence from stories and a return to them, on my review of The Little Paris BookShop. 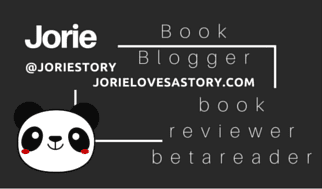 Although we only tweeted a few times and exchanged preliminary emails to have a special showcase of her novel Safe & Sound featured on Jorie Loves A Story, I feel as though I have had the pleasure of getting to know her a bit better in the process! And, by extension her publicist Ms. Caitlin O’Brient Bauer (of Royal Social Media). As you will see as you retreat back to the Author Interview & Live Author Q&A threads of conversation, you will find Ms Krupa to be warm, engaging, and inspiring! I am blessed twice over for our paths to have crossed and I have my Jorie Loves A Story Twitter account to thank for bringing us together! I have been blessed to continue to work with her on her future book releases, as she is an author I love to read compelling and inspiring Contemporary Rom. I came to appreciate both of them as they give book bloggers their time and grace. In the time since I hosted Ms Krupa last year until now [May 2016], our paths have separated a bit as I wasn’t able to return too frequently to #ChickLitChat (which ended up moving strictly to Facebook) nor interact as much as I had hoped to with her via the twitterverse. I lost touch for quite a long while to be honest, and when her beautiful note arrived into my Inbox about her third release, I felt truly blessed our paths had crossed at the publication of her debut novel. She’s definitely an author I consider a blessing to have known and I look forward to following her literary career. I am disclosing this, to assure you that I can formulate an honest opinion, even though I have interacted with her ahead of reading her début novel. I treat each book as a ‘new experience’, whether I personally know the author OR whether I am reading a book by them for the first time. This is also true when I follow-up with them on future releases and celebrate the book birthdays that come after their initial publication. In 2014, T.S. Krupa published her award-winning debut novel Safe & Sound. In 2015, she released her sophomore novel On the Edge. The Ten Year Reunion is her third novel. Book Review | “The Ten Year Reunion” by T.S. Krupa Third #Contemporary #Romance novel by the author of “Safe & Sound”! Acquired Book By: I was offered to receive T.S. Krupa’s third novel “The Ten Year Reunion” in exchange for an honest review as well as host a special feature to coincide with the book if I elected to do so. I received a complimentary ARC copy of the novel “The Ten Year Reunion” direct from the author T.S. Krupa. I did not receive compensation for my opinions or thoughts shared herein. One my favourite novels of  as a 1st Year Book Blogger was Safe & Sound because it broke through a few literary barriers and told an honest story from a contemporary point of view whilst giving you a hearty Romance and a narrative that owned itself to it’s own living truth inside the world Krupa created. I appreciated the fact the #EqualityInLit inclusion of a happily engaged couple proved that when you seek out diversity and stories of equality, there can be a softness to the inclusion to where everything feels quite natural and organic, rather than purposely included to be ‘different’. I like honest stories and especially Romances rooted in relationships, as these are my favourite kinds to read and thereby the ones I seek out the most to devour! On the contemporary and modern side of the ledger, since I read Safe & Sound and even a bit before, there is a bit of a gap in my reading life as I mentioned on a post (my first ’10 Bookish and Not Bookish Thoughts’ meme!) as much as I related a bit about this on my review of Robin’s Reward. Most recently, I finished reading my first Clare Chase Romantic Suspense novel which was not only written in a style of Contemporary Fiction I adore finding but kept me on the edge of my seat! Similar to Ms Krupa, Ms Chase writes characters of diversity with such an organic natural inclusion as to inhabit the story as if they were always meant to be a part of it. The Contemporary story-teller who stands out as far as a serial author (from the past few years) would be Mary McNear who writes compelling and emotionally-driven fiction for readers who are seeking a stimulating read with an uplift ending! I have had the pleasure of reading her Butternut Lake series and cannot wait for her next release! It’s a hard genre for me to curl up inside because too often I find authors are not writing Contemporary Fiction in a style that I am particularly keen on reading. When I find authors like the ones I’ve mentioned and a handful of others I’ve happily blogged about over the past three years – their stories are ones that I will continue to champion and cheer for as they give us such a grounding of contemporary life in our crazy hectic modern world! Notation on Cover Art: Can I just say an evening sky full of clouds and the hint of fog is my kind of night to be caught up inside? I love grey skies in general and overcast days to me are the best slices of happiness we can have unexpectedly grace our lives – as they are such a lovely break from oppressive humidity and volcanic heat patterns — thus, this cover was instantly grabbing my attention! I liked how the typography ‘fades’ out in the clouds and how the pier provides a bit of an infinity impression which always seems to represent to me the various ways in which a path can knit together. There is always hope left when there is a path without end to be found in front of you! And, using purple simply charmed me as it’s quite literally one of my most favourite colours! Book Cover Reveal | Sophomore #newrelease from T.S. Krupa whose debut novel #SafeAndSound held my heart and captured my attention! This is her second novel ‘On the Edge’! One my favourite novels of  as a 1st Year Book Blogger was Safe & Sound because it broke through a few literary barriers and told an honest story from a contemporary point of view whilst giving you a hearty Romance and a narrative that owned itself to it’s own living truth inside the world Krupa created. I appreciated the fact the equality in lit inclusion of a happily engaged couple proved that when you seek out diversity and stories of equality, there can be a softness to the inclusion to where everything feels quite natural and organic, rather than purposely included to be ‘different’. I like honest stories and especially Romances rooted in relationships, as these are my favourite kinds to read and thereby the ones I seek out the most to devour! On the contemporary and modern side of the ledger, since I read Safe & Sound and even a bit before, there is a bit of a gap in my reading life as I recently mentioned on a post I’m still composing to publish (it’s my first attempt to release a ’10 Bookish and Not Bookish Thoughts’ meme!) as much as I related a bit about this on my review of Robin’s Reward. I’m focusing on military stories in June, and the week of Flag Day has two highlighted already (Meant to Be by Jessica James and Those Who Remain by Ruth Crocker), so if I were to mark down the 20th of June (that Saturday) it would be a full week of military stories! :) I love war dramas, which you may or may not have known, and therefore I have a soft spot for military families and stories of war widows. Another contemporary author whose approached this is Mary McNear with her Butternut Lake series; I reviewed the first two novels (Up on Butternut Lake | Butternut Summer) and upcoming at the end of May will be the third. I’ve been itching to know where you were going to take us next and this story, wow. It’s aces for me, because your talking about topics and subjects that are right up my alley! And, snowboarding!? Did you catch my Winter Olympic & X-Games tweeting!? I *LOVE! * snowboarding events! It’s one of the most viewed sports in my family! Wicked awesome! I feel if you can take a modern day setting and domestic situations to knit a compelling drama out of a story any reader can feel attached to by the novel’s central heart, than your a novelist who has an ace in the hole such as Krupa because she writes the stories that are both convicting as much as they are inspiring. You feel uplifted by the emotional journey you’ve taken with her characters, and I can only foresee this happening again as I get to know those who inhabit On the Edge. Drama is best written when the reader feels as if they’ve transitioned through the story’s arc and come out the opposite end in much the same fashion as the character they’ve lived the experience alongside; to me, this is one reason I actively seek out Romantic dramas a bit more than Romantic comedies; although I appreciate both equally, the dramas simply speak to me in a way that pull your heart closer to the humanity threaded throughout all of literature. It’s an honour to welcome back Ms Krupa for her Cover Reveal and Book Birthday Announcement on behalf of ‘On the Edge’ because I truly am wicked happy to see her new release a year after her debut! I hope that each of my readers have taken stock of her stories as they alight on my blog, and have settled into Safe & Sound knowing they will have a new favourite writer to read and follow. leave Ms Krupa a comment or question in the threads below this post OR tweet her directly @TS_Krupa! T.S. Krupa was born in New Haven, Connecticut. Krupa and her younger sister were raised in a Polish household with a blended American culture by her parents Stan and Krys; she is fluent in Polish and frequently travels to visit family abroad. Growing up in Clinton, Connecticut Krupa attended The Morgan High School. She started playing field hockey in the seventh grade after being cut from the soccer team. She was accepted to Franklin Pierce University (College then), where she continued playing field hockey for four years. She made it almost all ten years of her field hockey career without any injuries only to break her nose playing during her senior year. After college, Krupa traveled cross-country for a job at Texas Tech University. While there, she earned her Master’s and became a Red Raider (Guns Up!) and college football fan. It was there that she started coaching club lacrosse and found an instant connection with coaching. The next chapter in her life took Krupa from Texas to be with her then fiancé in Winston-Salem, North Carolina. She continued coaching club lacrosse and then began coaching club field hockey. She is now in her seventh year of coaching club field hockey. In 2009, she finally started work on her childhood goal and began work on her Doctorate of Education from North Carolina State University. Her dissertation topic focuses on ethical decision-making. Krupa plans to graduate in May 2014. Krupa now lives in North Carolina with her husband and dog, Chase. Chase came into her and her husband’s life after a neighbor found him at a gas station. Krupa’s husband brought him home and told her that he had a surprise and if she wanted to keep it she needed to buy dog food. It was love at first sight and Chase is now spoiled rotten. My path crossed with Ms. T.S. Krupa whilst checking Twitter, seeing what was new and finding that a wicked sweet Indie author had found me! She asked me to check out her website and the premise of her début Indie novel “Safe & Sound”. I was offered to receive the novel in exchange for an honest review as well as host a special feature to coincide with the book if I elected to. I received a complimentary copy of the novel “Safe & Sound” direct from the author T.S. Krupa. I did not receive compensation for my opinions or thoughts shared herein. Although we only tweeted a few times and exchanged preliminary emails to have this special showcase of her novel Safe & Sound featured on Jorie Loves A Story, I feel as though I have had the pleasure of getting to know her a bit better in the process! And, by extension her publicist Ms. Caitlin O’Brient Bauer (of Royal Social Media). As you will see as you retreat back to the Author Interview & Live Author Q&A threads of conversation, you will find Ms. Krupa to be warm, engaging, and inspiring! I am blessed twice over for our paths to have crossed and I have my Jorie Loves A Story Twitter account to thank for bringing us together! I am hopeful I can continue to work with her on future book releases as well as with Ms. Bauer on forthcoming new clients. I appreciate both of them as they give book bloggers their time and grace. On a side note: the mere fact that Ms. Krupa is published by an Indie Publisher who generally focuses on all subjects outside the realms of Women’s Fiction / Contemporary Romance, one could say she has enough moxie to make her mark in the literary world quite memorable indeed! Hence, why I called her a ‘rebel with a cause’ during the Live Q&A! 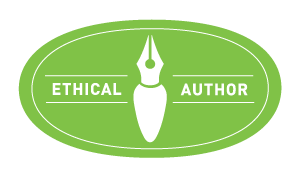 The fact that Advantage Media Group believes in the principles of tree-neutral publishing practices warmed my heart as well! I had spoken about my passion for green publishing practices whilst Ms. Leesmith was enjoying a spontaneous conversation thread erupting underneath her Cover Reveal for “Love’s Promises”! I am disclosing this, to assure you that I can formulate an honest opinion, even though I have interacted with her ahead of reading her début novel. I treat each book as a ‘new experience’, whether I personally know the author OR whether I am reading a book by them for the first time. Jill finds herself a young widow facing multiple decisions she thought she had a lifetime to decide. With support from her childhood best friends, Lanie and Stella, Jill attempts to piece her life back together. With nightmares plaguing her dreams and the struggles of constant grief over Jay’s passing, Stella and Lanie keep near constant vigilance over her. In the process of settling the estate, Jill learns that her husband was not quite the man she thought he was. She finds herself transported to the small beach town of Oak Island, North Carolina but the fairy tale ending she envisioned no longer exists. She must face the reality that Jay is gone as she finds herself having a chance at love one more time. One the hardest events in our lives is the acceptance of the death of a loved one we hold most dear. None of us are ever prepared for the passing of someone whose full essence is stitched and tied to our own reality. We cherish those who take up residence in our hearts, as they are the guiding lights who pepper our days with memories full of joy. Accepting our mortality is one of the marks of our human condition and a reminder that despite how deeply we affirm our time on earth, all of us are living off of a clock of allotted days. It’s how we choose to face tragedy in the hardening hours of its unwanted presence that will determine our strength as much as our resolve. Being that I grew up in an industry surrounding death, I have had a front row seat on grief and sorrow, to where I found it quite remarkable how others might not be as aware of the end of life arrangements that are necessary. As I was watching over Jill struggle to understand why a death certificate was needed to pay her bills as they were in her husband’s name, it helped me see life from another point-of-view of someone who hadn’t grown up in the field like I had. There are a few things I suppose I took for granted, as everything you can think of that could happen or go wrong in a person’s life is something I have known about for a long time. The scenes in the hospital brought back reflections of being in waiting rooms as loved ones either had surgery or were recovering from illnesses. The bits and bobbles I could relate to directly were the instability of the hours as you walk through the motions of your life prior to when the death occurred. Numbed by the instant disconnection and shocked to be awake when you’d rather be asleep. Voiding out the world and the emotional onslaught of memories which shift into focus as soon as your heart catches up to your mind. The transitions are the worst in grief because everyone grieves differently and goes through the stages at different intervals. No two losses are alike, and even if we become adaptable to loss we can never fully resolve the measure of sadness welling into our spirits where the person’s presence is wanted.